The book may be marketed for young women, but this woman found the devotions to be very interesting, informative, and inspiring – no matter what your age. 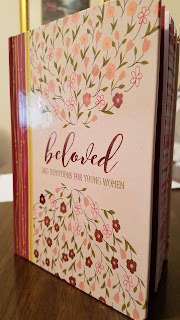 Each devotion highlights a woman in the Bible, sharing her history and motivation, helping the reader to understand her place in biblical history. For instance, 1 Samuel 1:2 tells us about Hannah's sad situation. The devotion brings this to life by talking about rivalry in today's world, summing it up with an admonition to embrace your own path and follow the course for which God created a unique you. The hardcover has an area to record your thoughts for the day. And as a bonus, it's a very pretty presentation with a foiled cover and ribbon marker. Any female, young or old, would appreciate this lovely book. – I received this complimentary book from Handlebar. I was not required to write a positive review. All opinions are my own. Gripping. Heart-stopping. I read a couple of chapters of Defiance one night before bedtime and couldn't sleep. I even dreamed of an EMP. Burkard's characters jump off the page and she writes with such realism that I couldn't help but wonder what would happen if I were put in the same situations as the people in the book. Excellent story-telling and highly recommended. Love Letters from God is a lovely book, beautifully illustrated, and full of love from beginning to end. A different ‘girl’ examined in each chapter feels God’s love in a very real way through her experiences. I realize that in a children’s book, certain details may be glossed over, and if an adult reads to a child, this book presents opportunities to delve further into Scripture together. The Love Letters from God are under flaps in the print books and are sweet reminders of the love that each character feels, although I felt in some letters, the author took liberties in speaking as God. Overall, I can recommend this book as a springboard for more discussion about the girls and women in the Bible. HandleBar Marketing sent a complimentary copy of Love Letters from God, Bible Stories for a Girl’s Heart to me. The opinions expressed are my own. 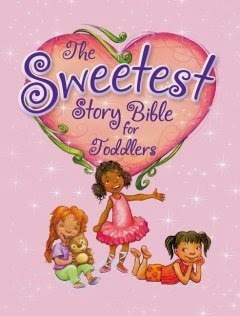 “The Sweetest Story Bible for Toddlers” is a 32-page board book in which Diane Storz has written a very quick and light overview of the entire Bible with eight stories – four from the Old Testament and four from the New Testament. Each story is short – only a few pages, and geared to children who may not understand the deeper concepts of each story, although reading the book to children a bit older might present an opportunity to expand each one. This book is most definitely geared to toddlers and more specifically, girls. The pages are sturdy and the artwork is as sweet as the stories. Sheila Bailey’s brightly colored and expressive illustrations cover most of each page. Although the book is feminine in design with its pink cover depicting girls, the stories could be read to both sexes. "The Sweetest Story Bible for Toddlers" would make a lovely gift for toddlers to introduce the idea of carrying their own ‘Bible’ to church and that Bible reading is an important and enjoyable experience. Thanks to Book Look Bloggers for a complimentary copy of this book in exchange for my honest review. Diane Stortz has been involved with publishing for many years as an editor, editorial director, and author. Her children’s books include Jesus Loves You: A Read the Pictures Book, Let’s Shine Jesus’ Light on Halloween, Four Faithful Friends, and God’s Boredom Buster Plan. She is cofounder of the National Network of Parents of Missionaries and coauthor of Parents of Missionaries: How to Thrive and Stay Connected When Your Children and Grandchildren Serve Cross-Culturally. Diane is the mother of two grown daughters, and lives in Cincinnati with her husband and a Dutch house rabbit, Pepe. Sheila Bailey works in watercolor and digital media. In fact, it is this combination of tools that allows her to achieve her characteristic style. Sheila began her career as a designer and painter for Hallmark, Inc. Later, she became a featured designer at Will Vinton Studios. Formerly published under the name Sheila Lucas, Sheila Bailey has been writing and illustrating children's literature for more than a decade. Away from her brush, Sheila enjoys gardening and tending to her koi pond. She currently lives in Redwood City, CA. I love this book. As a visual learner, this book hit all the right notes. It focuses on the life of Apostle Paul and uses photos, maps and many visuals to help children - or any reader, understand the story of Paul’s life. I have taught Bible classes for many years and Get to Know Apostle Paul includes information that was new to me. Instead of simply relaying facts, Nancy I. Sanders packed the pages with extras like interesting facts and definitions in eye-catching boxes as well as a glossary, bibliography, and student resources in the back of the book. With additional books on Mary, King David, and Jesus available, I say, Make room!” These books should be on every child’s shelf. This is fast becoming my go-to Bible. I reviewed the Kindle version because this is now my favorite way to read my Bible. I can mark my progress, highlight passages, and make notes. Each Bible has a different format and way to navigate. After a few sessions, I found the “New Spirit-Filled Life Bible” easy to navigate. One of my favorite features of many is the “Word Wealth.” For instance, in Ephesians 6:13, I learned that ‘stand your ground’ is antihistemi from anti – against, and histemi, to cause to stand. This suggests vigorously opposing. Like an antihistamine puts a block on histamine. In this scripture, antihistemi tells us that with the authority and spiritual weapons granted to us, we can withstand evil forces. More than 20 denominations and independent fellowships produced this study Bible integrating Pentecostal-Charismatic viewpoints. As an Assemblies of God teacher and pastor, I heartily endorse this Bible. Disclosure of Material Connection: I received this book free from the publisher through the BookSneeze book review bloggers program. I was not required to write a positive review. The opinions I have expressed are my own. The Bushas have a long history in publishing. Now they are making their years of expertise available to writers eager to make their mark as writers. Covering subjects like proposals, self-publishing, agents, and more, Writer's Nudge is a valuable resource to get you started on your road to being an author. In the blurb for “Twirl,” the author, Patsy Clairmont, says she hopes to help her readers make choices that lead to renewal and peace. I figured the twirling had to do with the breakneck pace of our current culture. When I first received “Twirl” for review, I was puzzled by the image of a pinwheel on the front. I wanted a book on how to stop the dizziness of a too-busy life. Then I saw the smaller subtitle, “A Fresh Spin at Life.” Clever! Instead of trying to stop the chaos, Patsy leads her readers to look at life in a different way, focusing on what’s important. She has a gentle and encouraging tone, and a fun sense of humor. Each chapter ends with questions for further reflection. You don’t have to read the book straight through. Pick out a title that resonates with you. I suggest using the book as a motivational tool first thing each morning and meditating on the questions throughout the day, and perhaps you and I will both find it easier to find joy and purpose – and a new spin at life. Disclosure of Material Connection: I received this book free from the publisher through BookLookBloggers.com book review program. The opinions I express are my own. There are a lot of people who can immerse themselves into a hefty novel. I'm not one of them. I like short and sweet. And that's exactly what I got with a novella by Rebeca Seitz. In First Blush, the characters are fun and sassy. The setting is sunny Florida. Reading about sunshine and beach time lifted my spirits. And the storyline is light, but interesting enough to keep me reading clear to the end...no, wait, not the end. The beginning? My only complaint was that the novella ended quite abruptly. I want to know more about Elizabeth, the main character, and Nick, the mysterious Englishman, and Marcy, her best friend. Hopefully, this is just the first of many more novellas from Rebeca Seitz. I'm looking forward to the next one! *I received a complimentary digital copy of this novella from Glass Road for the purpose of an independent and honest review. The Daniel Plan: 40 Days to a Healthier Life is based on five essentials: faith, food, fitness, focus, and friends. Any book that starts out with an “Aha!” moment in the author’s life that brought humility and conviction gets my attention. Rick Warren had such a moment while baptizing people in his congregation and that single illuminating revelation prompted him to gather together a team to help not only him get healthy, but any members in his church who wanted to join him on the journey to health and wellness. Now in book form, this program has the potential to help countless people who’ve struggled to find a healthy life plan. Starting with the Faith Essential, the Daniel Plan begins with the recognition that each of us needs God’s help to succeed in anything, and that includes the power to change. From that most important starting point, the book moves onto the other components of the plan with foods that heal, fitness, how to focus, and finding a community in which to gain support and strength. The book even has a 40-day meal plan to get you started. Highly recommended. Disclosure of Material Connection: I received this book free from the publisher through BookSneeze®.com book review program. The opinions I expressed are my own. I am always excited about new ways to share God’s Word with anyone – and especially children. The “Big Picture Interactive Bible” represents one of the newer methods. Not only does the Bible have many extras like Bible verses to remember, a dictionary, and detailed introductions to each book of the Bible, but also includes a unique feature called “augmented reality.” What? I had no idea what that was, but after downloading the free app, I was as eager as any child would be to see the full color illustrations ‘talk.’ All I had to do was scan the icon in the corner of the illustration and then scan the actual illustration to hear the narrator explain what’s happening in the story. I have to say that I did have a difficult time holding the device steady enough to get the scan to work, but as we know, children today are quite adept and oftentimes quicker than adults to use technology. I believe that the Bible is Jesus’ story from Genesis to Revelation with the Old Testament being Christ concealed and the New Testament Christ revealed. I love that this Bible has “Christ Connection” snippets all the way through the entire Bible. With maps, concordance, and a page dedicated to The ABCs of Becoming a Christian in the front, this Bible is a well-rounded tool to study the Word of God for both children and adults! "My Brother Is My Best Friend" by Nicole Weaver is a tri-lingual book with English, Spanish, and French. In the book, the text is in three different colors which make it much easier to differentiate the languages. In any language, this book is fun! It's energetic - just like the twin boys, and educational. Activities and a word search puzzle in the back of the book make it even more fun. The illustrations by Clara Batton Smith perfectly complement the active text. You can almost feel the wind as the boys zoom by! Also check out My Sister is my Best Friend: A Trilingual Story for girls. See what I mean? The quotes require careful deliberation to ascertain the message being conveyed, and in some cases, without the greater context of the original writings, the quotes are quite cryptic. Brennan Manning’s style of writing demands more than a casual reading. I do not consider this Bible to be a study Bible, but one that would enhance your devotional time, especially if you are already a Brennan Manning fan. When I received “The Christmas Candle” by Max Lucado for review, I was surprised to find that it was a novella. I’ve read many nonfiction books by Rev. Lucado. I didn’t know he had ever written fiction. I consider the novella to be a gift book – something short and sweet, the perfect read when you don’t have a lot of time to devote to a full length novel. But don’t assume that because it’s a short read that you won’t have a lovely time reading about the miracles that occur in a small village in Victorian England. Even as I read the book, I thought the story would make a heartwarming holiday movie, and it turns out that it has. Reading this book (and watching the movie) that is less about candles and more about faith and hope would be a wonderful holiday tradition. Just finished reading "Welcome to Last Chance" by Cathleen Armstrong. I loved the small town feel and the diverse characters, and the way that Christian values were presented in a gentle, non-confrontational way. The story of the two main characters, Lainie and Ray, kept me guessing as there had to more to the story than was presented in the beginning, but I have to say that the warm, sweet, rock-steady character, Elizabeth, was my favorite. At times, the book read like a mystery with a bit of suspense thrown in, and at other times, like a romantic novel. I can imagine followup books in the series featuring these same characters. The suspense aspect won't keep you up at night, but the romantic side will warm your heart. The first time I ever heard of an evangelist was when the Billy Graham crusade came to town. Nine years old, I attended a Baptist church at the time and joined the team of volunteers to go door to door and invite people to come. In the years since, I’ve listened to many Billy Graham sermons and even sung in the choir as an adult at one of the last crusades held. So, I was thoroughly delighted when I received a copy of the book “Billy Graham in Quotes.” If there ever was a man who speaks truthfully and succinctly, it’s the Reverend Billy Graham. His son, Franklin Graham (who along with Donna Lee Toney compiled the quotes) says the material spans seven decades. What a legacy to have preached for so long! It’s a wonderful tribute to have a son who has amassed his father’s simple statements of Biblical truth on a vast array of subjects. With the book divided alphabetically according to subject, the many topics cover everything from anger and angels to worry and worship. I highly recommend this book as resource for preachers and teachers or for anyone who wants to read a quote to ponder and meditate on throughout the day. Disclaimer: I received this book free from the publisher through the BookSneeze.com® book review bloggers program. I was not required to write a positive review. The opinions I have expressed are my own. The smoke alarm on the cover of “Runaway Emotions” by Jeff Schreve is symbolic of negative emotions like anger and frustration. They alert us to danger. Just as we wouldn’t hide a fire, the alarms set off by these runaway, negative emotions alert us to the need to manage them, and find out what God is trying to say to us. Schreve uses scriptures liberally in his explanation of how the Bible can help make sense when life seems out of control because we have become overly emotional. The material in the book has been researched well, explained in depth, and backed up with Biblical insights. I would call reading this book an excellent first step in acknowledging and managing runaway emotions. With the addition of pertinent questions after each chapter to encourage discussion, I could see this being a good study for a teen’s or women’s class. The author has a wonderful sense of humor while sharing deep spiritual truths using practical examples. The chapter on loneliness was very well explained and helped me better understand the emotion and want to reach out to those who are lonely. Pastor Schreve’s vulnerability while sharing personal accounts was engaging, encouraging me to take this journey past negative emotions to healing and freedom. * I received this book free from the publisher through the http://BookSneeze.com book review bloggers program. I was not required to write a positive review. The opinions I have expressed are my own. Are you too busy to dive into a good novel, but still want to get your fiction fix? Having long periods of time to read is rare for me. That's why I like novellas. And what better book for me than Secretly Smitten - four novellas in one? Secretly Smitten is written by Colleen Coble, Kristin Billerbeck, Denise Hunter, and Diann Hunt. 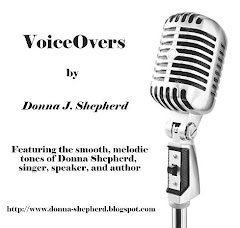 Each author is successful on her own, and what fun to find their writing all in one book! I liked this collection that tells the story three young women solving a mystery and finding romance along the way. Each author builds on the story and characters and develops the plot line in her own style while staying true to the story as a whole. The small town setting was refreshing as was the sweet romance and light mystery woven through each novella. This is actually the second book in the Smitten Series but this could easily be read on its own. I have to say I am looking forward to the next offering by these four talented authors, and reading these shorter stories encourages me to read each author’s books. If you’re looking for a sweet, lighthearted romance with a Christian worldview, then I suggest you check out Secretly Smitten.